It's the final day of hard work and competition for the Small Level 5 Restricted team from Texas, and there's no room for mistakes. Day 2 of The Summit you start with a clean slate, so all of the teams in their division have a shot at earning the title. 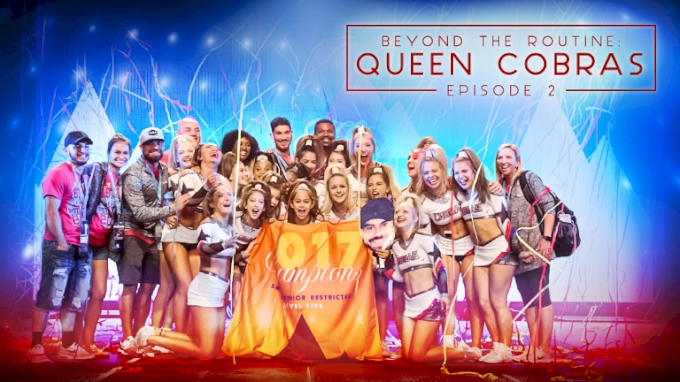 Many of the senior athletes will be taking the mat for the last time with Stars Vipers, and they've been a part of the program for 10+ years; it's an emotional roller coaster for the coaches and girls...Go inside the routine, and on stage at awards with a squad who performs with all their hearts every time.